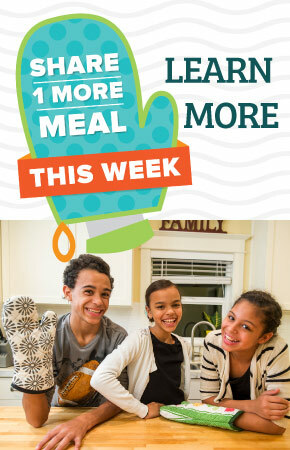 Raise Your Mitt to commit to Family Meals! We’re celebrating National Family Meals Month™ in September, a nationwide event designed to underscore the benefits of family meals and the role we can play in helping your family share one more meal at home per week. Dinner tables should be for more than just eating. Join us this month to celebrate the power of a family meal. Discover how one small change per week can improve your family's health and happiness. Eating together increases self-esteem, sense of wellbeing, positive social behaviors and stronger family connections. • Set healthy habits and are less likely to be overweight. • Do well in school and get into trouble less often. • Have better mental health and positive relationships with family. • Eat more fruits, vegetables, whole grains, iron, fiber, vitamins and minerals. • Eat about 200 fewer calories and 16 grams of sugar less per day than those who go out to eat. 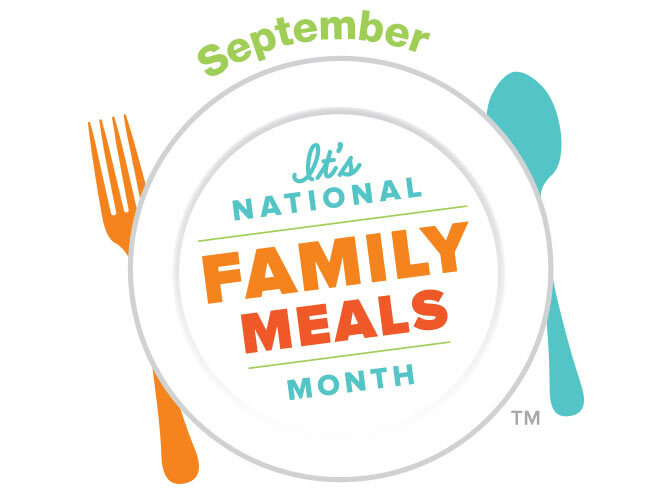 Make it your goal to eat at least ONE meal with your family each week in September. We have solutions to help you get a wholesome family meal on the table faster. Find easy, healthy mealtime solutions in nearly every aisle of the store. Also, look for special coupon savings in-store every week. ShortCuts Pre-Sliced Fruits & Vegetables • Salad Kits • Ready-Made Entrées & Sides • Skillet-Ready Sauces • Marinated Oven-Ready Meat & Seafood • Freezer Entrees • Fresh Fried & Rotisserie Chicken , Pizza, Sushi and More! We have made it easier to eat together this month. Join us in our Bakery/Deli department this September to help us celebrate National Family Meals Month. Every Tuesday from 4-8pm get a FREE kid's tender meal with adult Hot Bar purchase. Tender meal includes 1 chicken tender, 1 side, 1 chocolate chip cookie and a 16 ounce drink. *Children 12 and under only. ValuCard required at time of purchase. Limit one free tender meal per adult hot bar entree, per day. For a limited time only. Need tips advice on planning healthier family meals? Eating a nutritious and delicious meal with your active family is never easy, espicially when you are short on time. Need tips advice on planning healthier family meals? Try some of these expert tips from Food City Registered Dietitian Elizabeth Hall, MS, RDN, LDN. You could also attend one of our fun and informative events this month and engage with us on Facebook and Twitter (@FoodCity or @FCDietitian) for family meals shopping tips and recipes. Too busy to plan a balanced meal? Food City is here to help! Feed the family faster and for less. Every week we will be featuring meal solutions to help make family meals at home a little easier. In addition to our packaged meal soultions, we have a wide selection of easy to prepare, family friendly recipes from at Meals and Recipe Center! Our version of this Italian classic, featuring thinly sliced pork with lemon and capers, is simpler than you would think. This easy-to-make delicious family meal is ready to share in about 20 minutes. Approved by kids and adults alike, these baked Parmesan chicken strips are quick, easy and loaded with flavor. 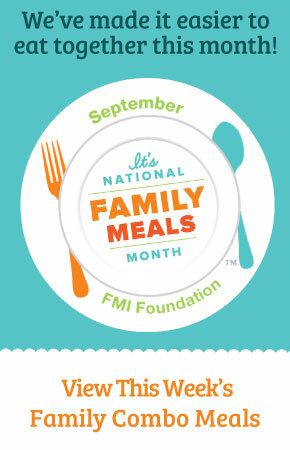 For more recipes or information on why family meals matter visit the National Family Meals Month website.